I just spied the yummiest new recipes on The Seasonal Diet blog: Strawberry Hemp Milk and Blackberry Hemp Milk made with fresh berries. Feeling more vanilla? There's a recipe for that in the blog post too! 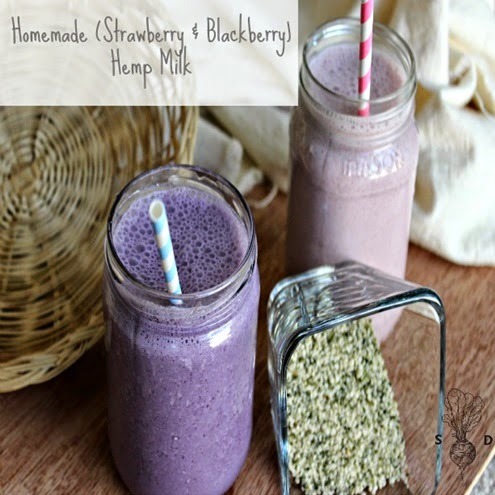 Learn how to make your own berry flavored hemp milk now. I also totally want to plug The Seasonal Diet membership. Members get The Seasonal Diet ebook, a complete resource to being creative in the kitchen and staying inspired throughout the seasons. It's over 150 pages of resources including a 30 day meal plan and 180+ recipes- all plant-based, gluten free and allergy friendly! Read about all the other membership perks of The Seasonal Diet here.